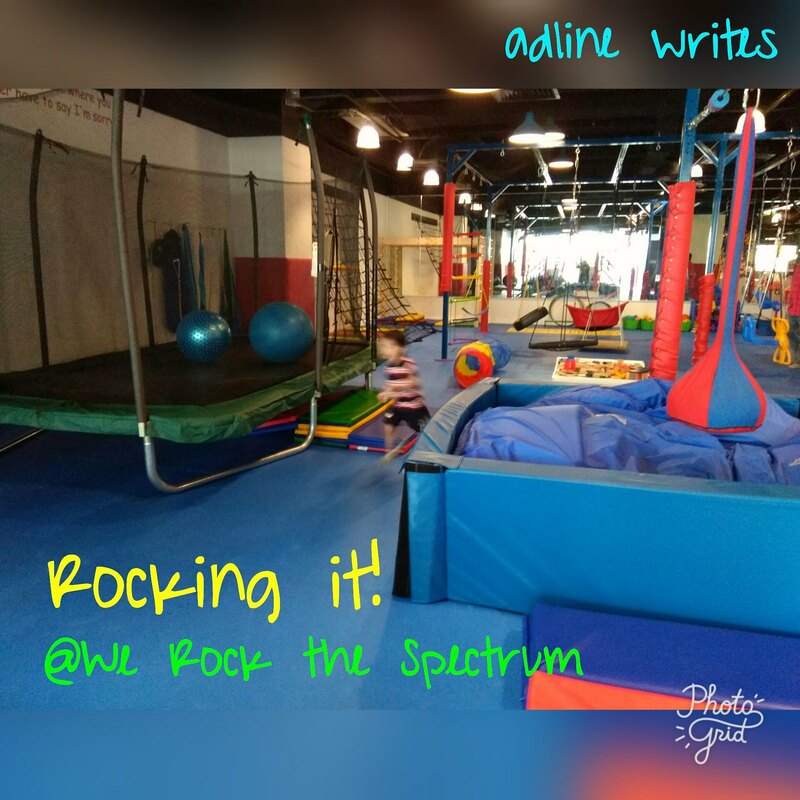 Last week, I finally got the chance to take Arif to We Rock the Spectrum (WRTS), which is a special kids gym with an all-inclusive philosophy for kids with all levels of abilities. To me, what makes WRTS awesome are the uniquely-designed sensory equipment that are specifically-designed to aid children with sensory processing disorders, like my son Arif. 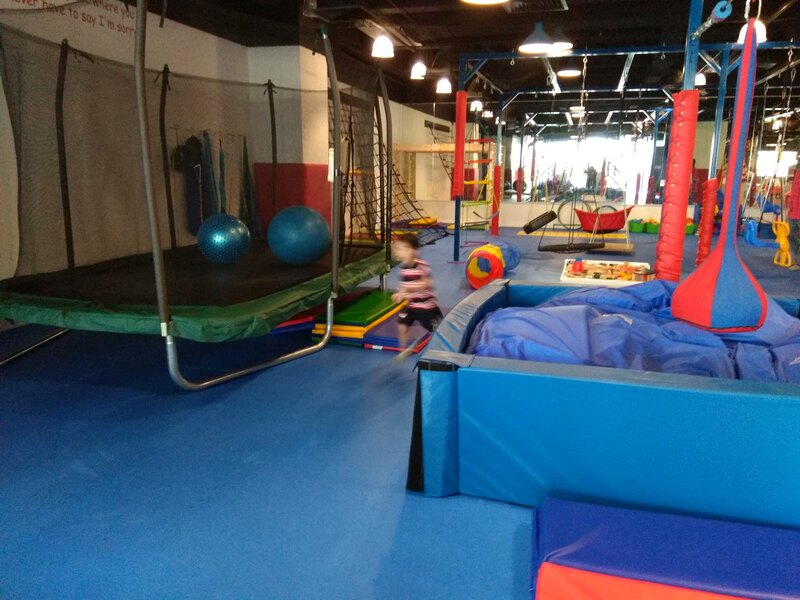 At first glance, WRTS isn't a very big play area, but it packs a lot of sensory play into its space. We arrived early, so the place was empty and I got a chance to take these pictures. 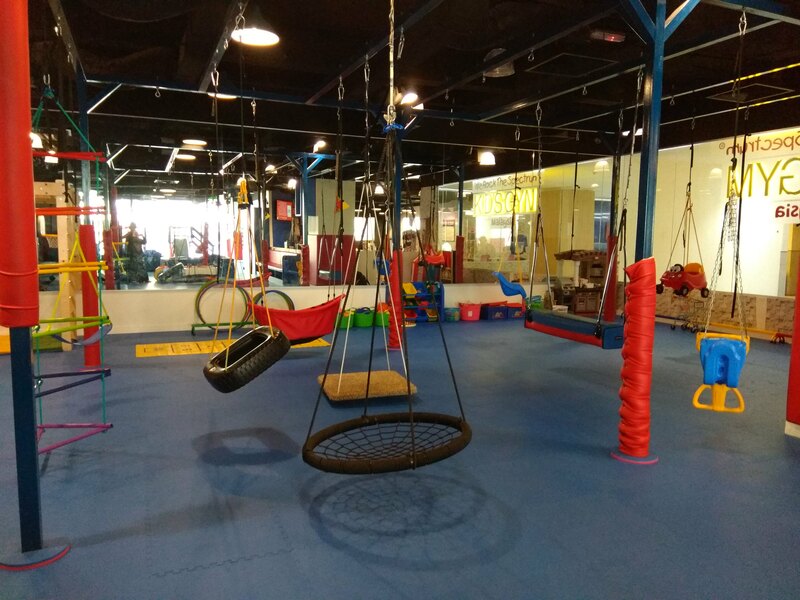 Here's a look at some of the swinging equipment that they have, which is excellent for kids with vestibular issues (more on this later on). WRTS' slogan, "Finally a Place Where You Never Have to Say I'm Sorry”®, really hits home with me as an autism parent. 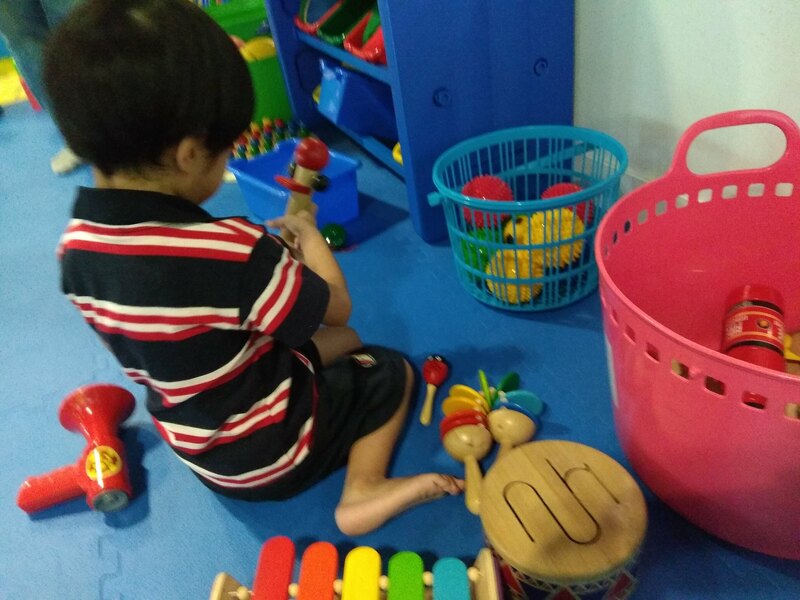 When I take Arif to play areas, I usually have to deal with disapproving or confused looks from other parents, as well as angry or upset kids, when Arif behaves inappropriately. Did Arif enjoy his time at WRTS? Read on to find out! Due to his sensory issues and inability to socialise, Arif can be a bit too rough with other children, as well as invade their personal spaces in his attempt to be friendly. Non-verbal and unable to understand instructions, Arif can be a challenge when I need him to stop a certain behaviour. At WRTS, those concerns are somewhat alleviated, and best of all, they have the equipment Arif needs to tackle certain issues. For example, Arif has always been afraid of heights or swings. In occupational therapy, he would scream when they place him on swings. He does the same when we try to put him in swings in the playground. But to my surprise, he really loved the swings at WRTS. The first one I put him in was this boat-shaped one, because I figured it would give him a sense of security. He then warmed up to other types of swings that they had. 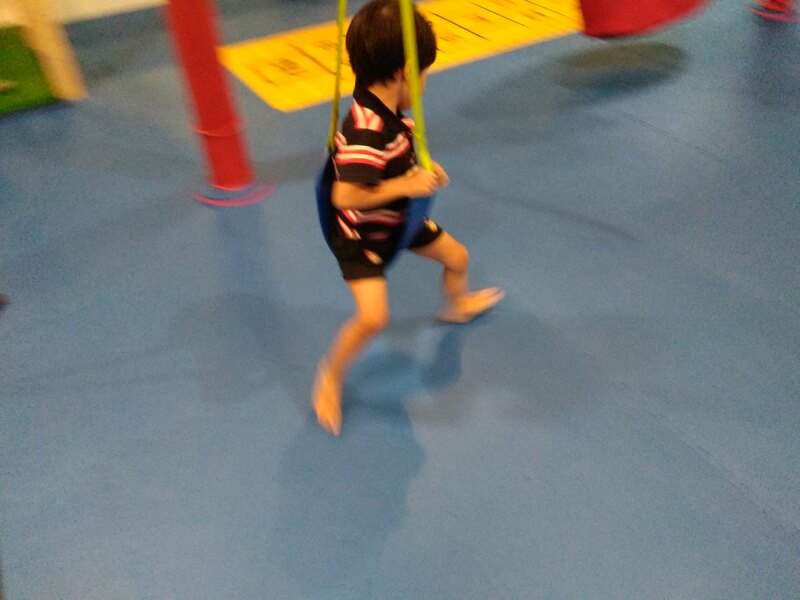 Swinging can give a calming sensation to some people on the spectrum, but Arif has a vestibular dysfunction (read more about it here) that makes him afraid of swinging and heights. So this is a huge step for us! He explored all their other swings at his own pace and he loved them all! It's clear there's something at WRTS that coaxed him out of his shell. 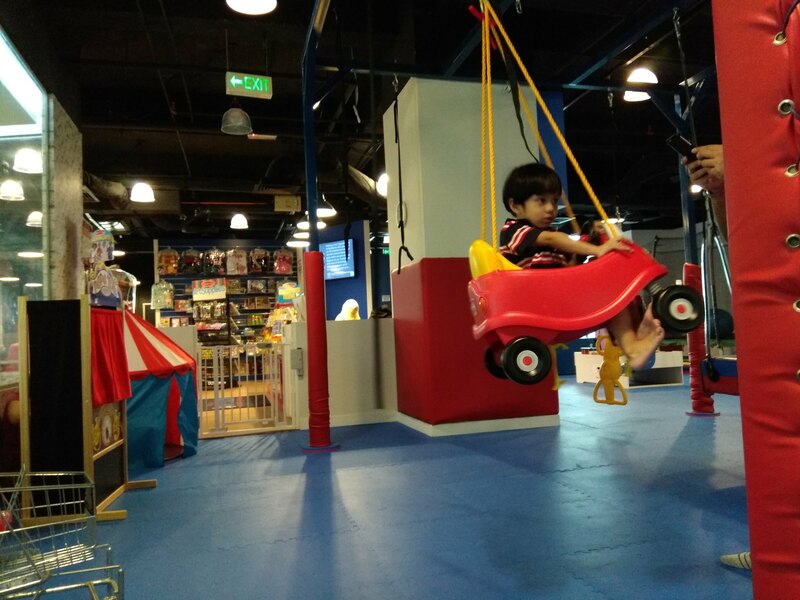 This car-shaped swing was a particularly great achievement for Arif, because it's suspended high from the floor, and yet he was completely at ease and loved it! 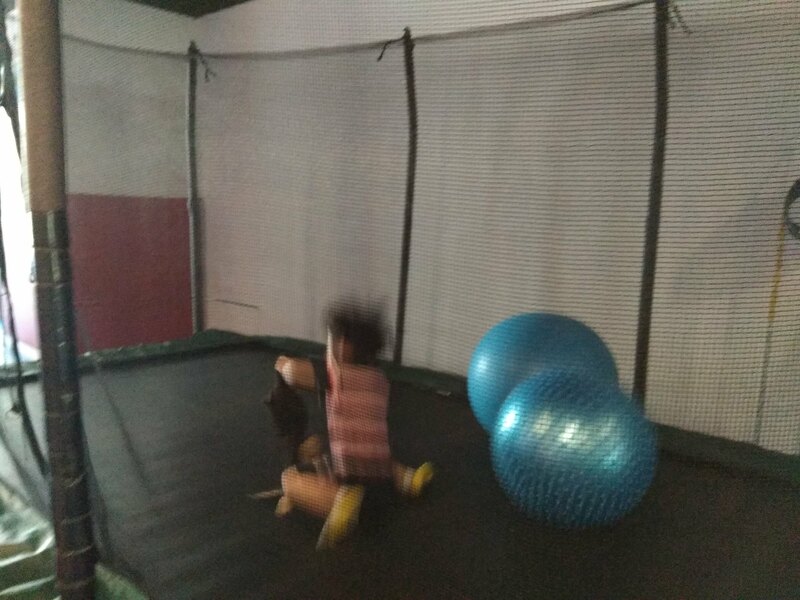 This large trampoline is another cool sensory equipment that Arif loved. They also had this train-building area. 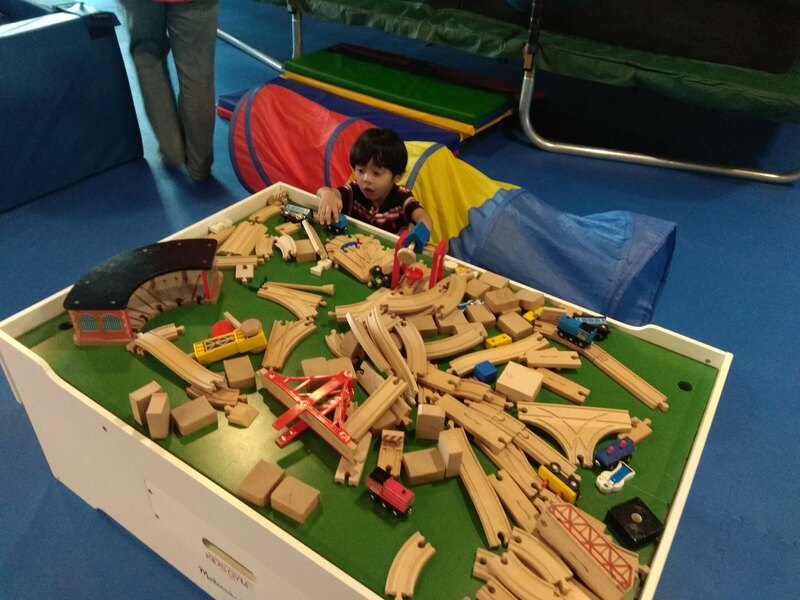 Arif enjoyed playing with the tiny trains and building tracks. 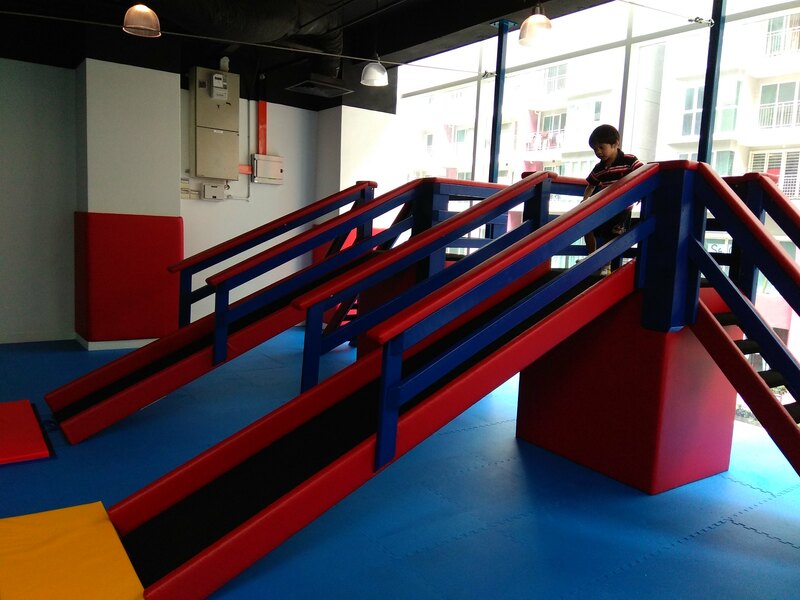 This is not actually a slide, but more of a platform for the zipline they had. Arif still needs to work on his core strength to be able to hold onto the zipline ball. 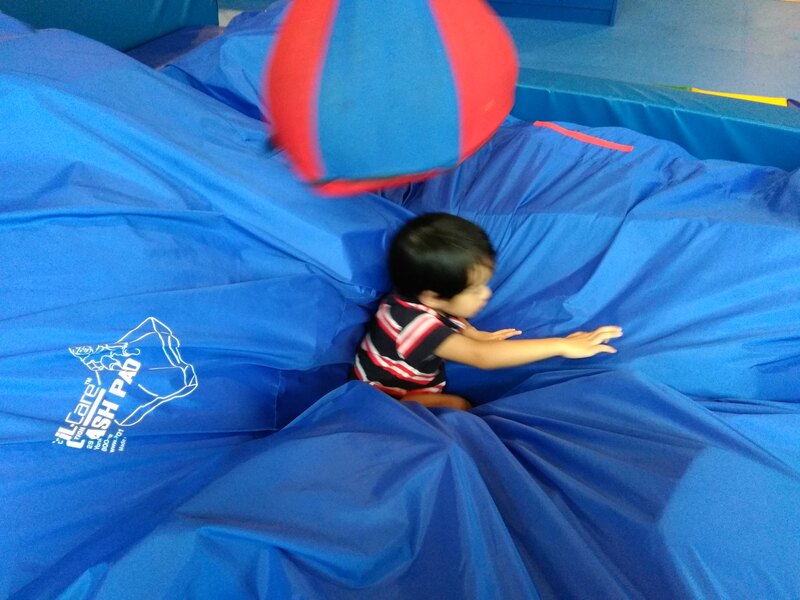 With some help from mummy, Arif managed to zip across and he loved falling onto the crash pad. He also enjoyed the pressure that the large foam pieces provided. Arif was very excited and ran from one end of the gym to the other over and over! Phew! To quiet down, we spent some time in the arts and crafts area. 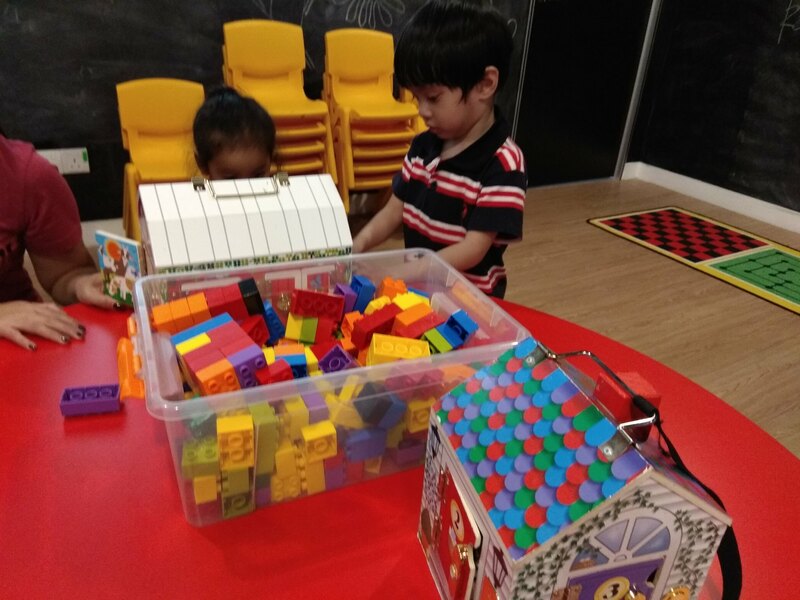 Arif played with puzzles, blocks and other fine motor toys. 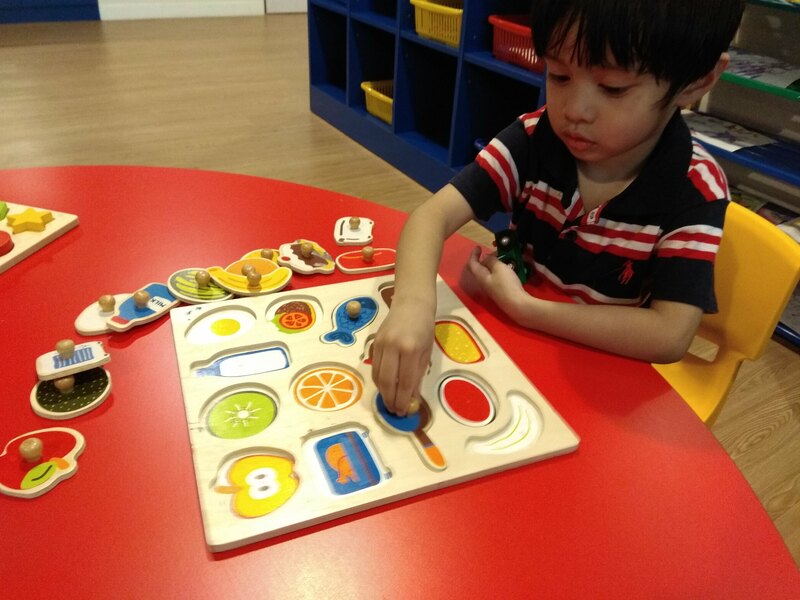 Arif loved this food puzzle :) There were also beads, crayons, drawing paper and other goodies for table activities. 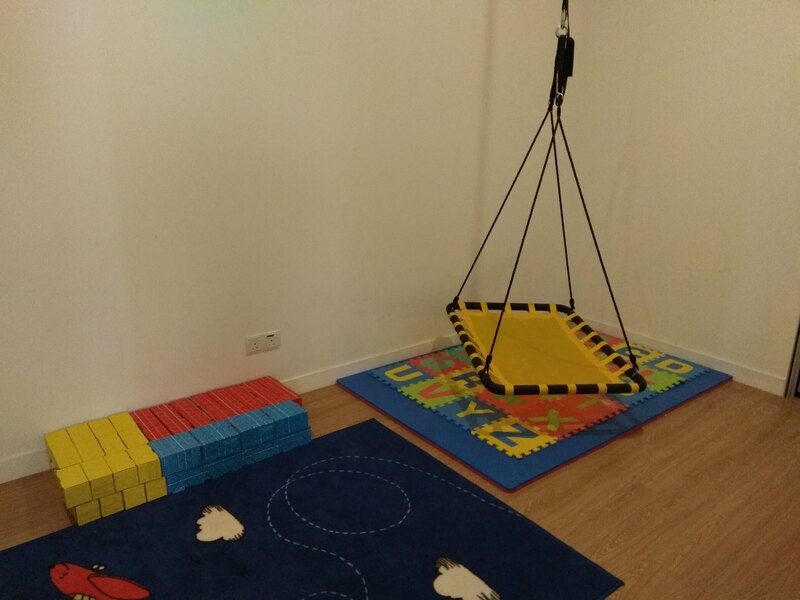 The facility also has a small room for kids to calm down, should they feel overwhelmed. There is also a corner for musical instruments, large foam blocks and a play kitchen. Overall, Arif had a great time at WRTS and we look forward to our next visit. 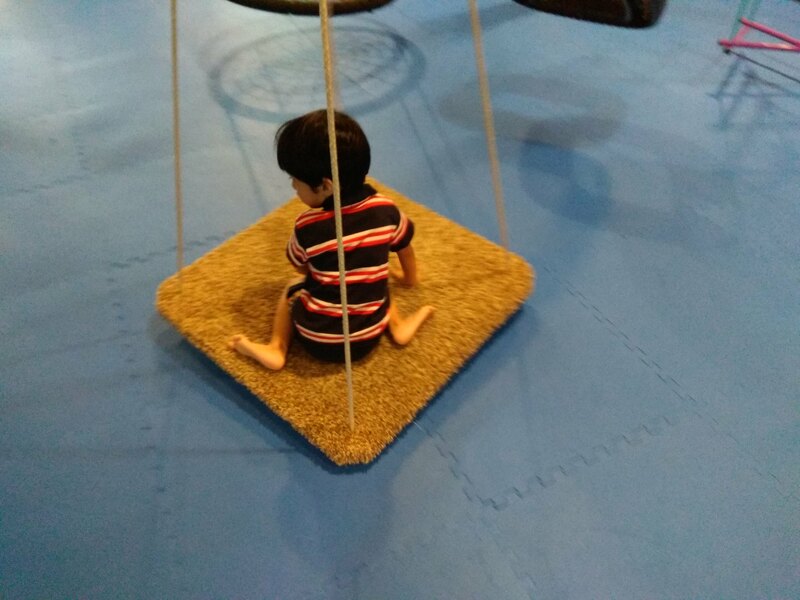 On this visit, Arif conquered his fear of swings, maybe next time he will conquer yet another milestone! We Rock the Spectrum is located in Evolve Concept Mall, Ara Damansara. If you'd like to learn more about them and their fees, visit their website here.